Lucy O’Byrne as Eva Peron and Mike Sterling as Juan Peron​. But when the opportunity presents itself to play a real character from history, settling into a new role can be even more exciting. 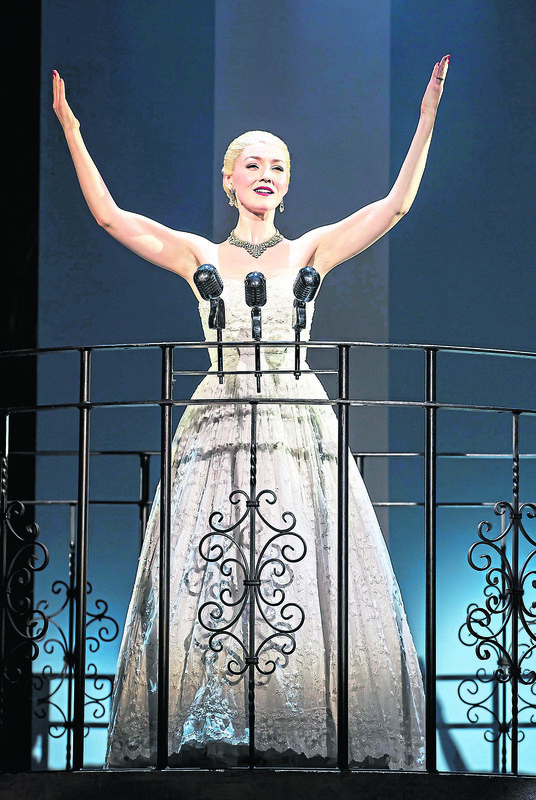 The Andrew Lloyd Webber and Tim Rice musical Evita tells the incredible true story of Eva Peron, who rose from poverty to become one of the most famous Argentinian women in history. Evita’s growing political influence and charity work earns her scorn and fear from the military and upper classes, but adoration and love from those living in poverty. At once the most hated and most beloved woman in Argentina, Eva is fiercely independent until her dictator husband Juan Peron changes the entire direction of her life and the production becomes an intertwined story of both love and politics. 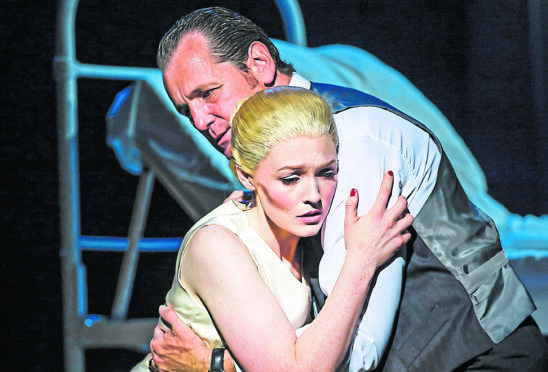 “Juan Peron is a very complicated man,” said Mike Sterling, who plays the Argentinian dictator in the current Evita production showing in Aberdeen next week. “I did a lot of research about him before I even attempted to play him on stage. “He grew up through the military and, from what I could gather, he was a man who knew where he wanted to go and had no qualms about moving up the ranks any way he could. “You can see that in the show. He stage-manages everything he is involved with and insists it is done in his way. Mike didn’t just get familiar with the tough side of Peron, but also the lesser-known tender side. “Peron was a completely different man when he was around his wife,” said Mike. “When he was with Eva the two would sit and enjoy each other’s company with a glass of wine. I think it’s important for my portrayal of his character to be as truthful as it can be and I used all my research as a blueprint for how I act on stage. The score comes from the king of musicals himself, Sir Andrew Lloyd Webber, and features well-known songs including Don’t Cry for Me Argentina, You Must Love Me and Another Suitcase in Another Hall. 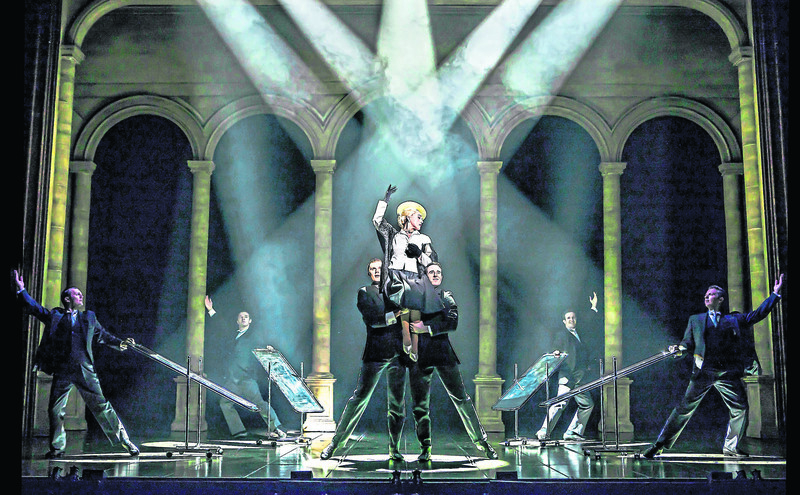 As well as world-class music, significant emphasis has been put into the set and costumes of the touring show. 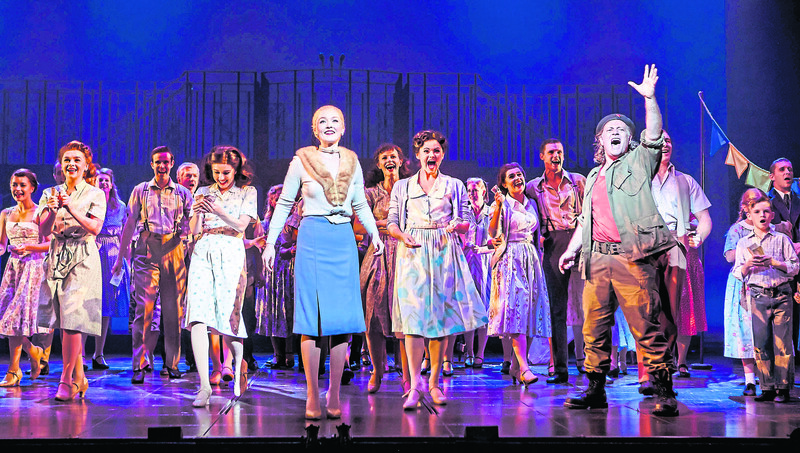 Compared to other West End musicals, production values are refreshingly sparse, with no flashy pyrotechnics, flying monkeys or girls with green skin in sight. But that’s all part of the charm for the 1950s-era musical. “It’s a phenomenal set,” said Mike. “The design, the sound, the lighting – everything is wrapped around the story like a beautiful quilt. “The audience get very involved and experience it with you. To me it’s quite an intimate set, especially at the end where it is just two people on stage and the audience. 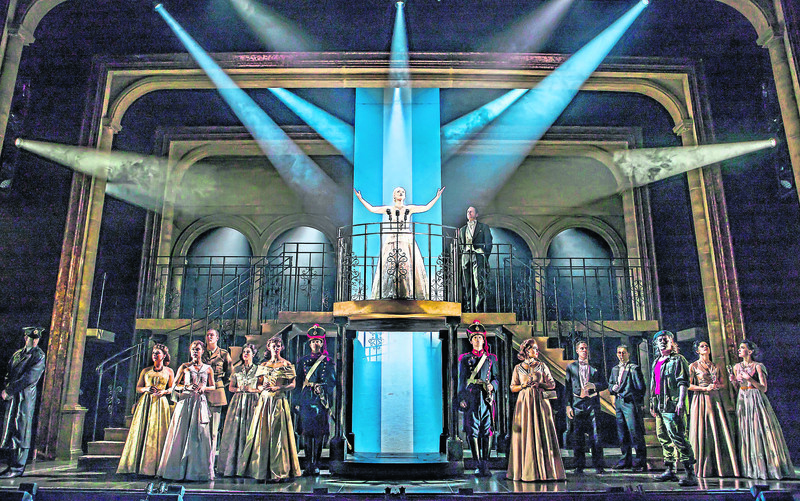 With Evita currently running eight times a week for audiences up and down the country, Mike’s schedule is understandably full. But when you love what you do, they say you never work a day in your life and this certainly rings true with Mike. “Each show is like an opening night,” he said. “Every night is different and that’s what I love about acting. The first stage show I ever saw was Les Miserables when I was 18 and it just inspired me. “Three years later and I was on the West End myself; 11 years later and I was playing the same role in Les Mis that inspired me. “I’ve been very lucky, but if I had to pick a career highlight it would probably be playing The Phantom in Phantom of the Opera – with 20 minutes’ notice. “I was playing Raoul when the director asked if I could switch characters for the night as someone was ill.
“I thought he was joking as I hadn’t practised any of the lines and didn’t have any of the right costumes. But 20 minutes later I was striding out on stage as The Phantom of the Opera. “Life is all about taking risks and that night led to some wonderful opportunities for me. “Now I’m older I have the chance to play roles like Juan Peron and really get to put my all into them.